Like I mentioned on my first vacation post, I will still love you to pieces if you don’t want to hear about our trip. But if you have ever wanted to drive up the 101 along the coast, then you may want to read on to see what I thought was worth the time and what to miss. Here are the highlights from the trip. I took over 3,000 photos and we stopped at so many places. But here are the main ones. After we spent the last day in San Francisco, we drove to Fort Bragg, CA and stayed in a little hotel there. 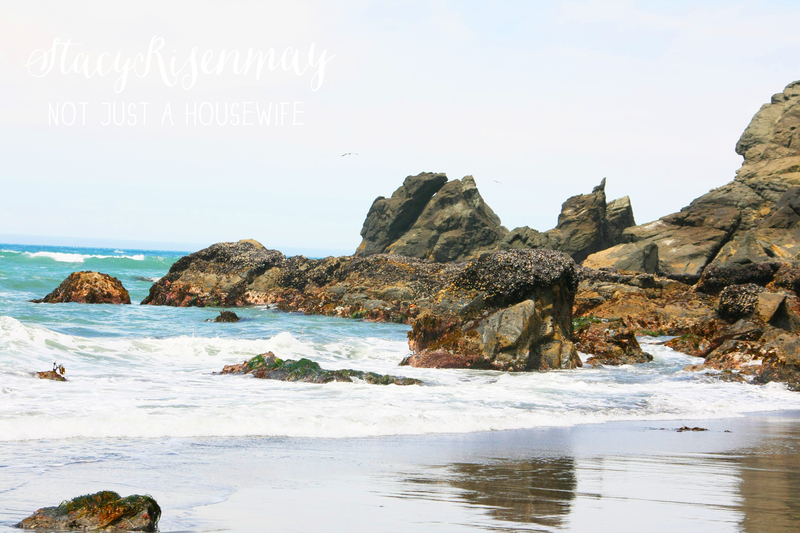 We woke up early in the morning hoping to go to the tide pools at MacKerricher State Park. We weren’t clear on exactly where it was and thought we had gone too far when we really hadn’t gone far enough. So we stopped at the beach where we were and just played there. 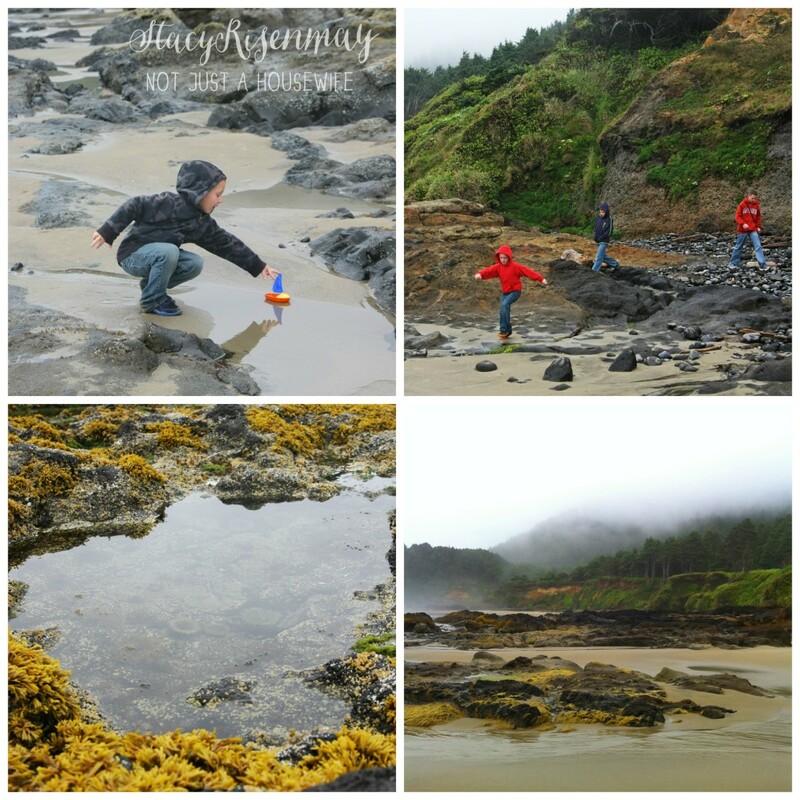 In the past when we went to the Oregon coast, the tide pools were visible EARLY in the morning when the tide was the lowest. Being from Utah (and nowhere near an ocean) we didn’t understand how the tide schedule worked. We thought low tide was always in the morning. I looked it up online and found out that it varied depending on the time of year and the time of the month. A few weeks before we got there the low tide WAS in the morning. But while we were there low tide was actually in the afternoon. You can look up low tide schedules here if you are planning a trip. It will possibly save you from having to wake up super early or potentially missing them all together. The other thing on our list to do here was see Glass Beach. Basically, it use to be a landfill. In the 1940s clear until the 1960s people dumped their garbage there. Then they wised up and moved the landfill inland. Mother nature has since cleaned up the shore and it is a safe place to go. 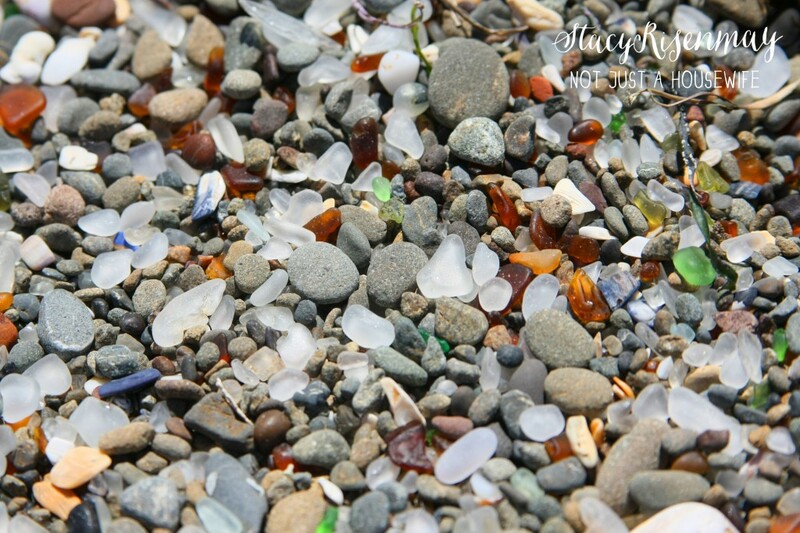 But because of all the glass that had been dumped in the ocean for all those years, the beach is now COVERED in sea glass! There ended up being tide pools at this beach as well so we didn’t miss out after all. My little guy was convinced that is he whispered “Come here crab” that the crabs would just come out of their hiding places. There are two sections of beach. One of them (not pictured here) has even more glass. It is park of a state park and you can not take the glass. We went to another section where you can take a little with you. For more information about it (and a map) visit the county’s site. We loved Glass Beach. 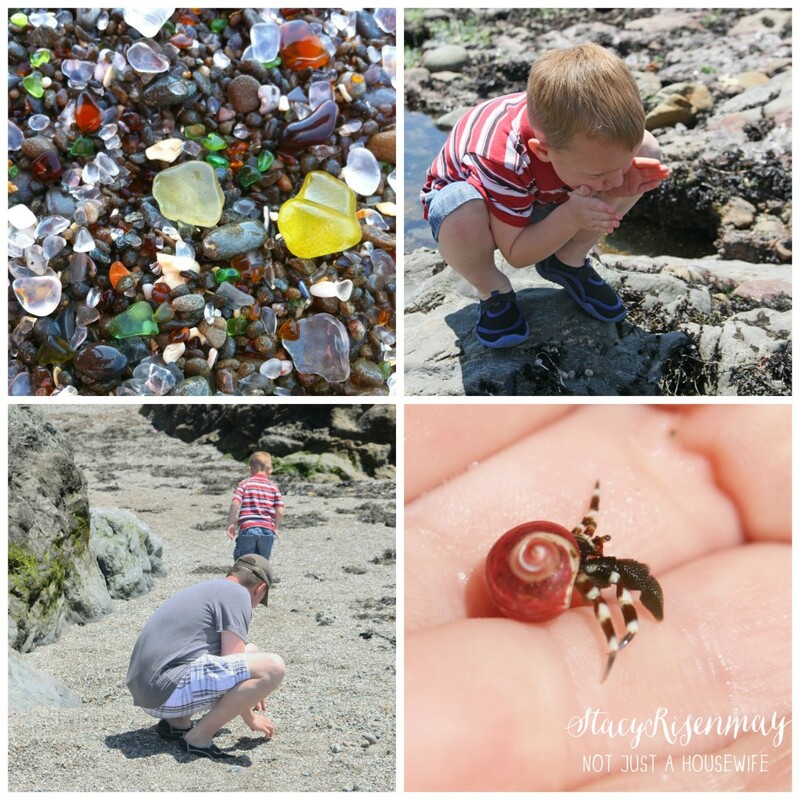 I have boys who are totally into finding “treasures” so the thought of a whole beach full of jewel like sea glass was amazing. We packed our cooler there and had lunch. We watched the crabs, little fish, and hermit crabs in the tide pools. And my little guy had a melt down at some point. And I may or may not have had a melt down due to his melt down. Just keepin’ it real :) It was a family vacation after all. 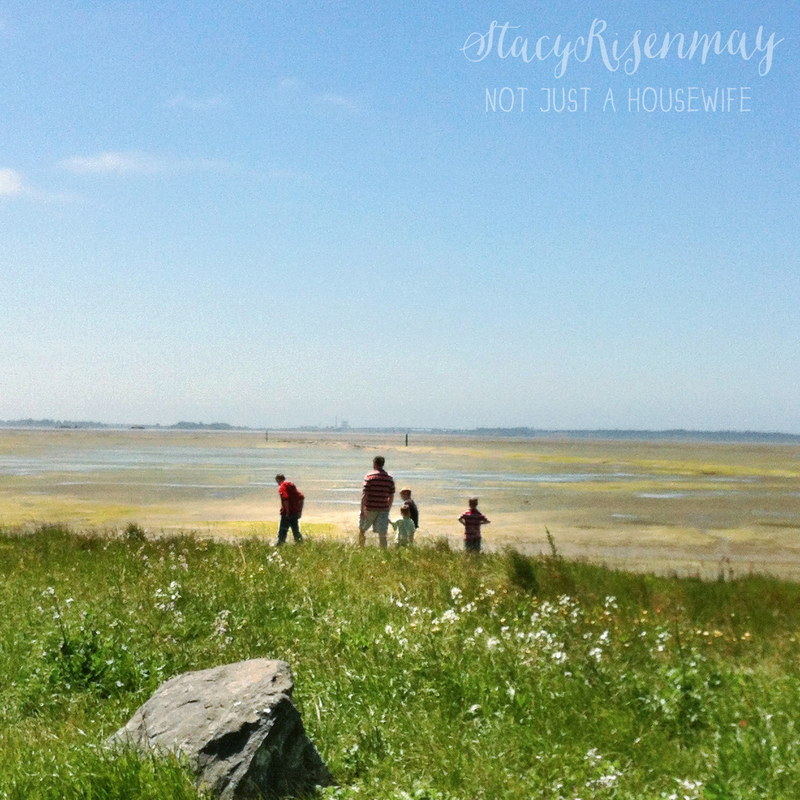 If the thought of hanging out at a beach covered in sea glass excites you (or your kids) I totally recommend stopping. It is not the most gorgeous stretch of beach in the world (which is probably why they selected it for a landfill) but it is truly unique! We finally found MacKerricher State Park on our way up the 101. At the entrance there is a gray whale skeleton on display. I didn’t get a picture with the whole skeleton because it was field trip day at the park and a couple of elementary school classes were inspecting the tail. We had to wait 30 minutes just to get this pic. So we decided to not go through the rest of the park. We had already seen tide pools that day anyway. 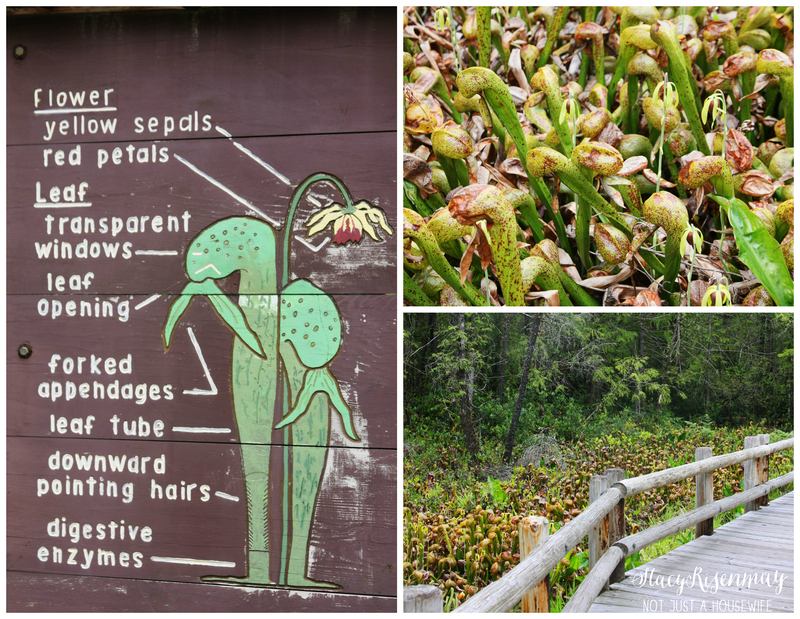 There is also the Mendocino Botanical Garden that I really wanted to see but we decided we didn’t have time. It had good reviews so if you love pretty gardens, it might be worth the time to check it out. There is also a train you can ride called the Skunk Train. 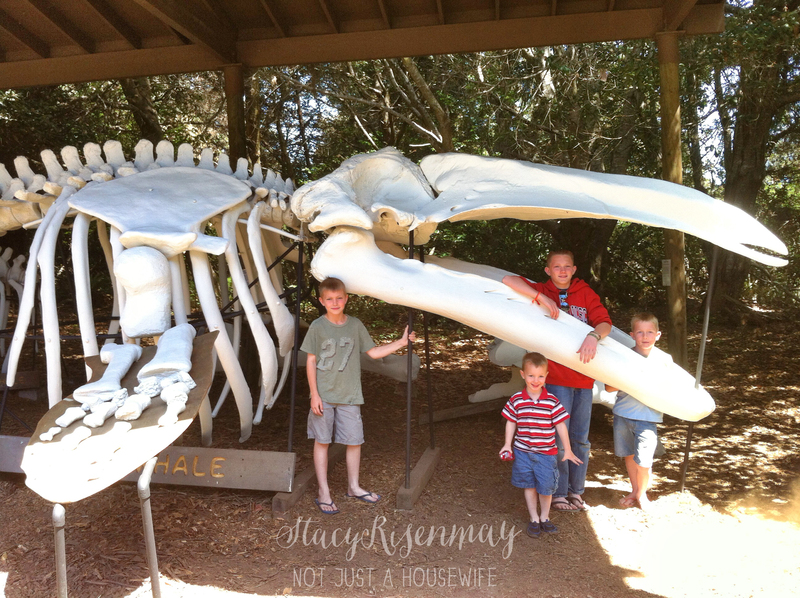 We opted not to do this because we were saving our money to splurge on a whale watching trip later on. But if money had not been such an issue, we would have taken the kids on the train trip. When we left the Fort Bragg area, we were driving on HWY 1 instead of the 101. Where the 1 connects back to the 101, there is a drive through tree. I have ALWAYS wanted to drive through a redwood tree! I think the first time I had heard of it was on a cartoon as a kid. This was a highlight for all of us. I know it is cheesy and touristy, but we loved it. 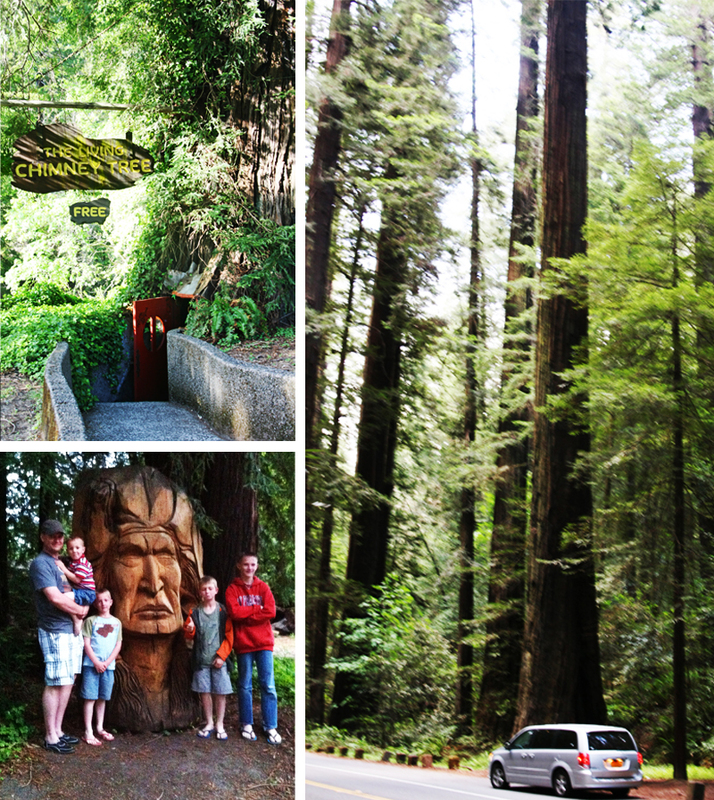 After the drive through tree, we traveled along the 101 until we got to the Avenue of the Giants. It is a road that will take you off the HWY 101 for a bit. 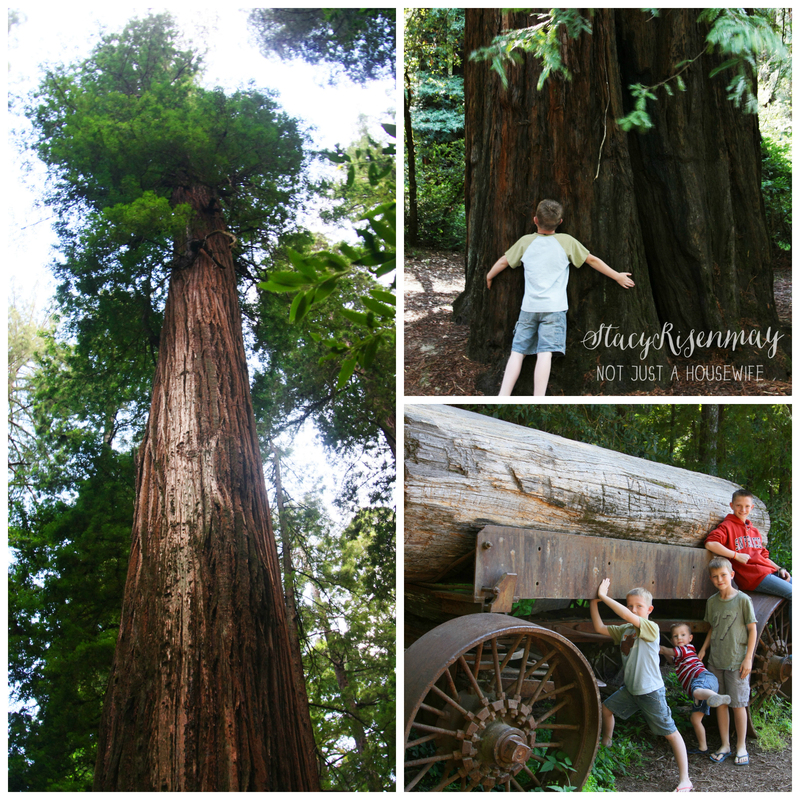 You will drive through part of the Redwood forrest that has some HUGE trees! It was worth the little extra time for sure. For more information you can check out their site. 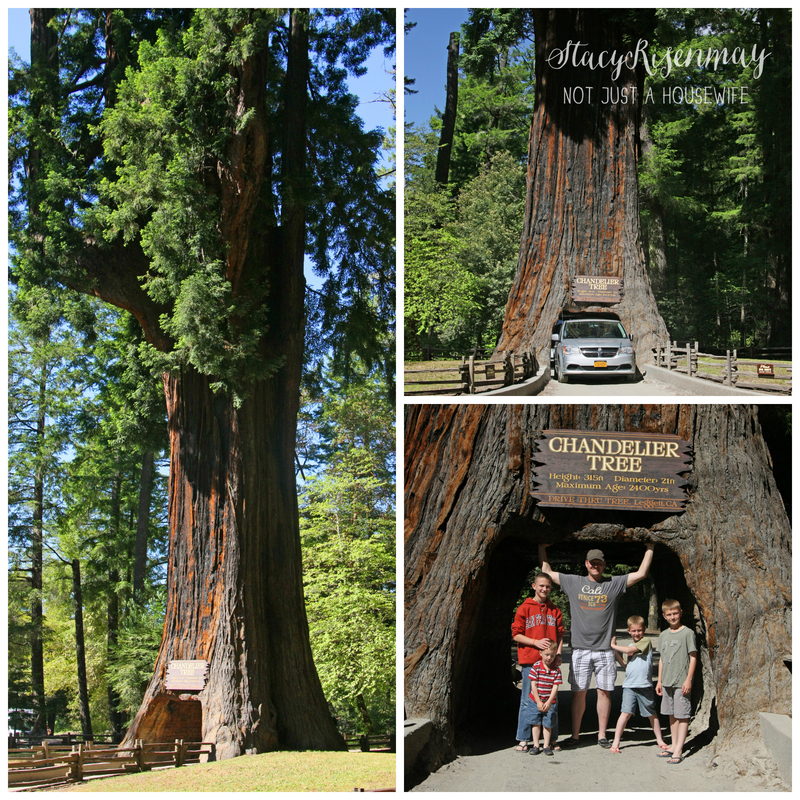 Along the Avenue of the Giants there are fun places to stop like the Living Chimney Tree and you can go inside. There were three trees that had been made into “homes” that you can check out. They were pretty cool! Sorry for some of the pictures being blurry iphone pictures! I have a son who is obsessed with birds. One of the few things he asked for for Christmas a couple of years ago was a bird book. He had packed his bird book for this trip so he could identify birds we saw. Because of this, we decided to stop at the Arcata Marsh. If we did not have a son in love with birds, I doubt we would have stopped. It was nice, but not something I would say is a must see. And if you do go, don’t take a 4 year old little boy who has been cooped up in a van or else he might run around being noisy and scare away the birds. P.S. I apologize to anyone who may have been there at the same time as we were….. The wildlife preserve includes freshwater marshes, salt marshes, tidal sloughs, grassy uplands, mudflats, and brackish marshes. It covers 307 acres and has over 5 miles of trails. They have over 300 bird species. I knew that Ocean World was on the 101 because of the research I did before the trip. I had NO intention of stopping there. We were trying to save money and we have been to aquariums before. I figured we didn’t need to go to another one. BUT, by the time we got to Crecent City we were all in need of a potty stop and a “walk around” break. I saw the sign talking about a seal and sea lion show and decided to have my husband run in and check the prices out. I told him if it was less than $50 for our whole family, I wanted to do it. It was! If you are going just for an aquarium experience then no. It is not a big aquarium. They focus on what is in the ocean in that part of California. When you first get there they take you to an area with tidepool animals. Then you go to another area with animals from the shallow waters, then an area with deeper waters, and then even deeper. It is a guided tour so you get all sorts of information. 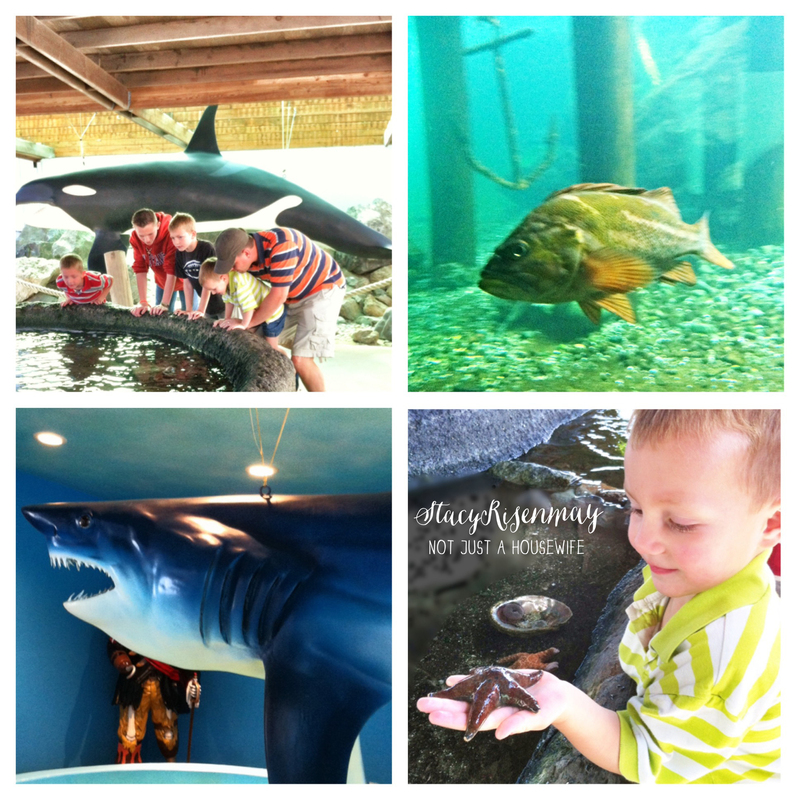 We liked it, but keep in mind it does not have exotic fish and creatures you may see at another type of aquarium. 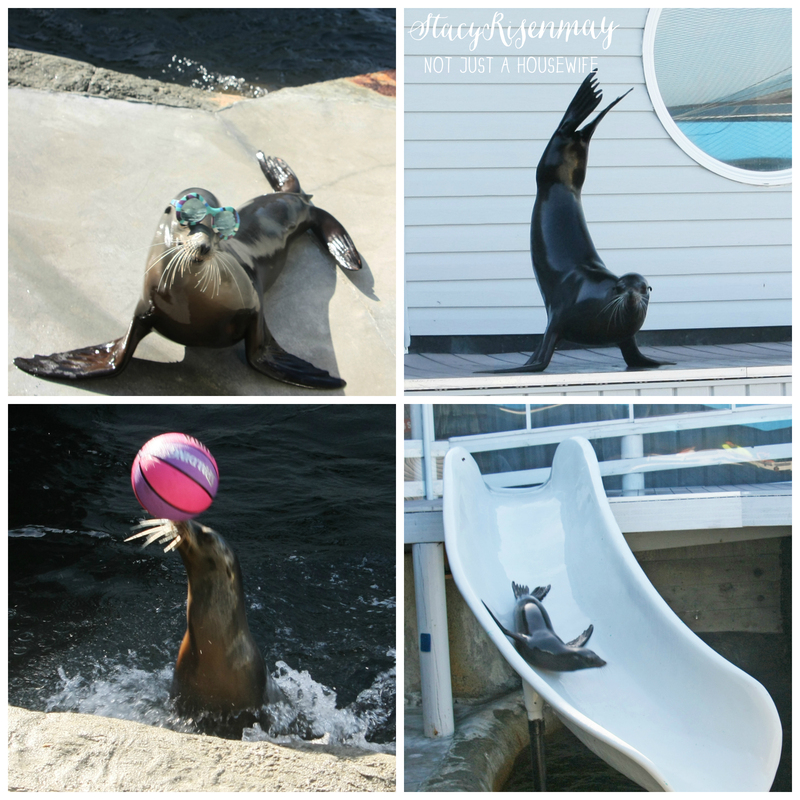 BUT if you want to laugh your head off and be super impressed with how intelligent seals and sea lions are, then YES! The show was amazing. It was only about 30 minutes but it was one of my favorite things of the whole trip. They were adorable. 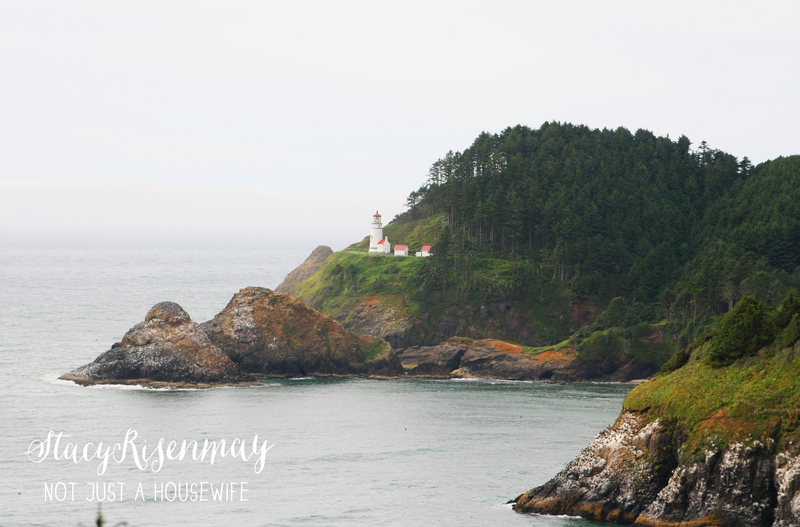 We traveled to the city of Gold Beach, OR that evening and stayed in a little place close to the beach. We ate dinner on the beach that night and got to bed early so we could get up bright and early the next day. One of my favorite things about the drive up the HWY 101 is that once second your view is of trees and the next, the ocean! In my research before the trip I had heard of a place called Arizona beach. 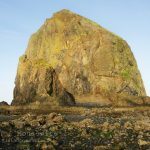 They call it that because it is sheltered by two rocky areas and is the warmest stretch of beach on the entire Oregon coast. It said it was a good place for families with children. It is only about 3/4 of a mile long. There are tide pools on both ends. And there were tons of agates as well. 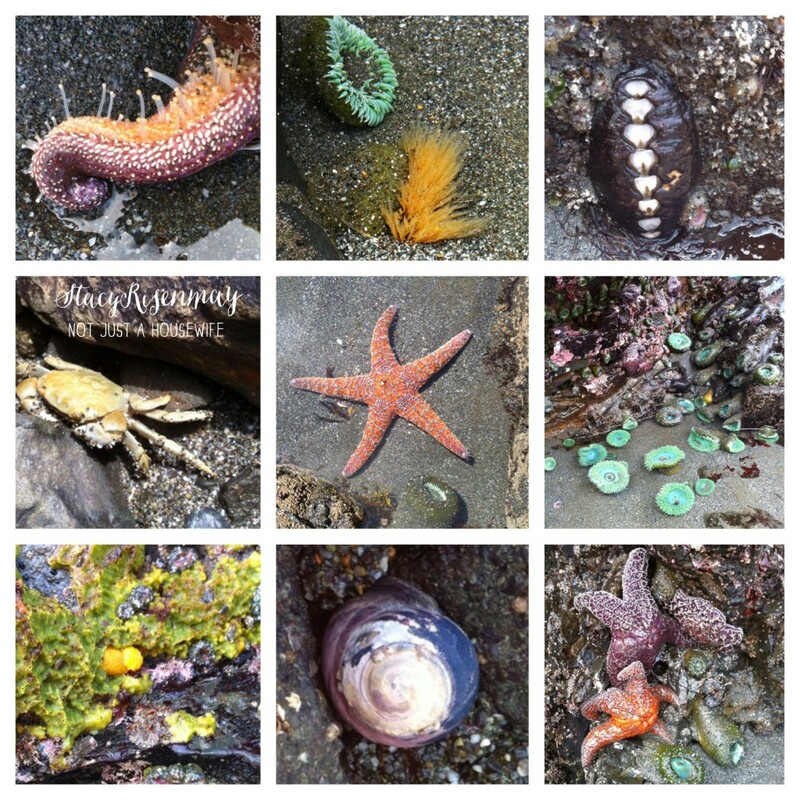 We have visited several tide pools and these were among the best we have seen. We found so many different types of creatures! Just a side note, if you visit tide pools please be careful where you and your kids step. There are living creatures everywhere, even in the kelp and seaweed. 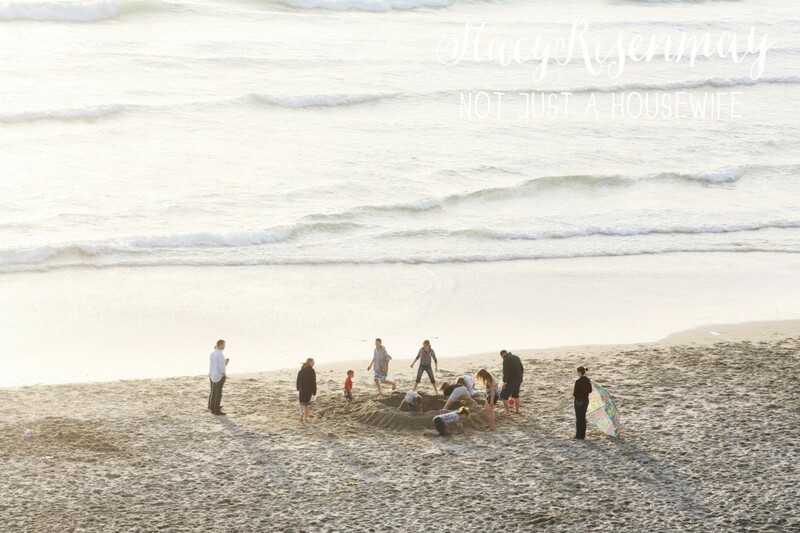 We have a family rule that you can only step on sand and bare rock (rock with nothing growing or attached to it). Sorry, just my little Public Service Announcement. 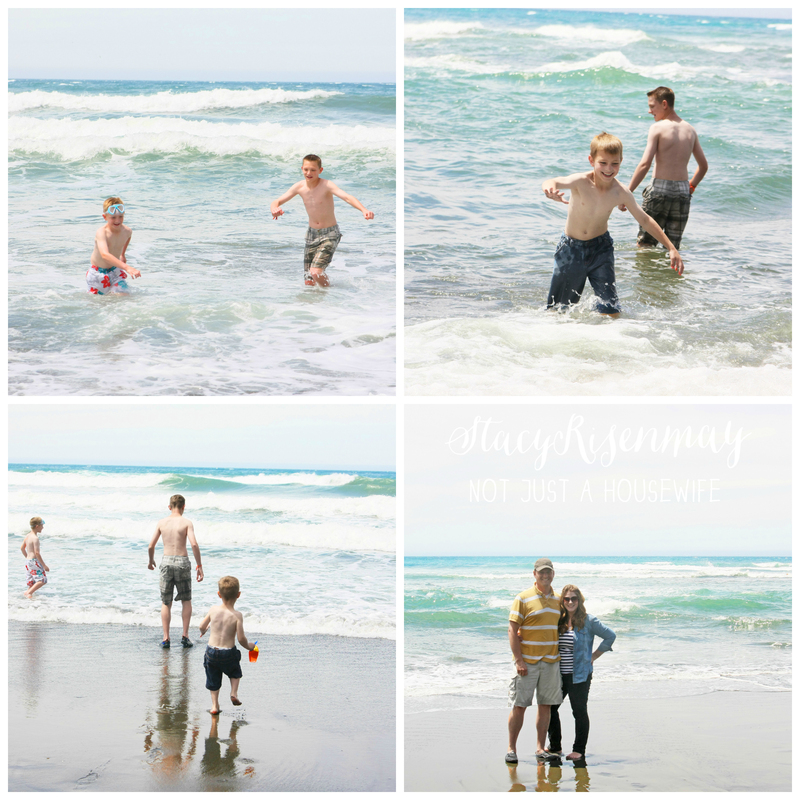 This was the only day my kids actually swam in the water. The water was still pretty cold, but it was only a bit breezy and not at all windy like all of the other beaches. It really was very warm! I think this was my favorite day. We spent almost the whole day here. We ate lunch, played in the water, saw tide pools, found treasure like shells and agates, and just relaxed. I sat back and just watched my kids be kids. I walked along the beach hand in hand with my husband. And as much fun as all the other sites were, this FELT like a real vacation. Little guy looks kind of red but it is because of the cold water, not a sunburn. We were lucky and all the slathering of sunscreen worked because we didn’t get burned on our trip. Because we went in May, it was not quite the tourist season yet. We had the whole beach to ourselves the entire day. Right when we were leaving a couple of cars came. But we felt pretty lucky to have had such a private moment as a family. Our next hotel was in Yachats, OR. Along the way there is a carnivorous plant park I had read about on (I think) tripadvisor. It had great reviews. People raved about it. 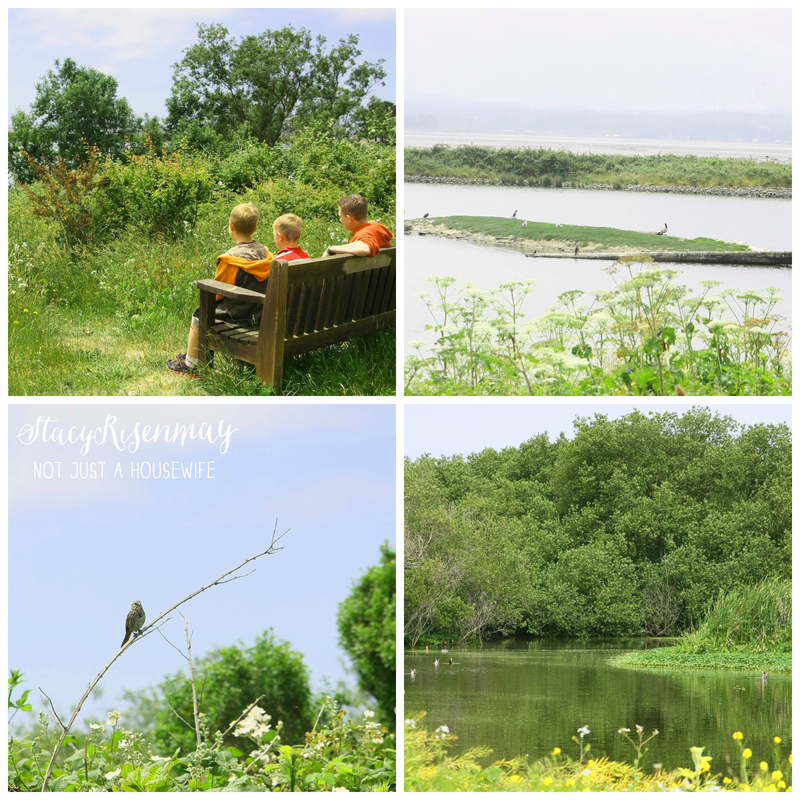 I have little boys and I thought seeing a whole park of plants that eat bugs would be a fabulous idea. I think it is like when you hear a movie review that makes a movie sound incredible and you go see it and are disappointed because it is just “alright’. If I had not read the reviews I might have thought is was pretty cool. But I had higher expectations. 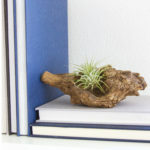 There is one type of plant here. The built walkways and fences to protect them and turned it into a “park”. It is small and took all of 2 minutes to see. And my boys were not happy that they didn’t actually get to see one eat a bug. So if you happen to need to stop for a potty break around the time you are driving by, maybe stop and see it. But I don’t think you need to go out of your way and plan your day around it like we did. We stayed in a cute little motel type place right on the beach in Yachats. We played on the beach for a bit before getting ready for bed. In the morning we went to Strawberry Hill and Neptune beach. This was the only day that was rainy and a bit foggy. But since these beaches are more rocky and because we had already had so many days in the sun, we didn’t mind at all. In fact, the mist and fog made everything look more magical to my boys. 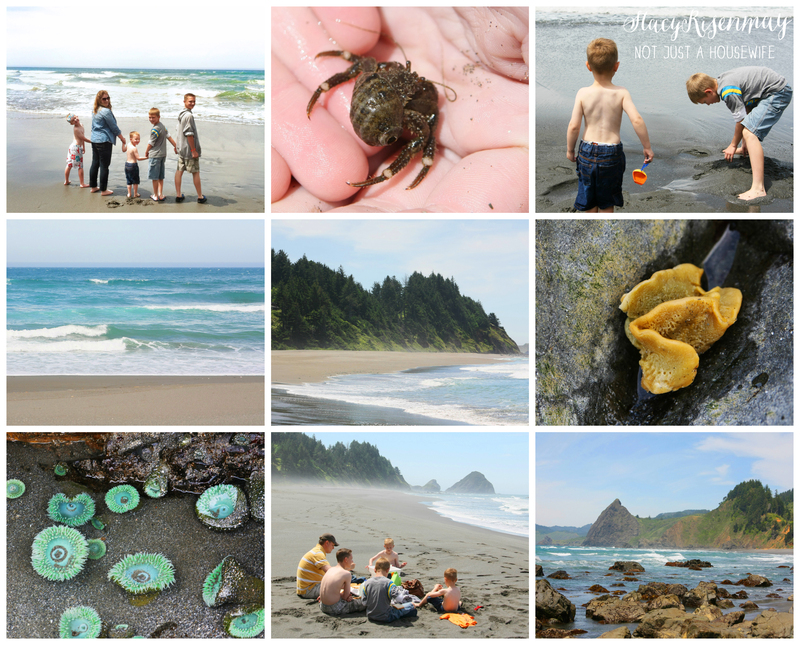 These two beaches have very small tide pools but not many types of creatures. The reason we came was not for the tide pools but for the seals. They can been seen here almost all of the time. This day they were not lounging on the rocks, but were swimming near them. It was fun to watch them. Mother Nature rocks. 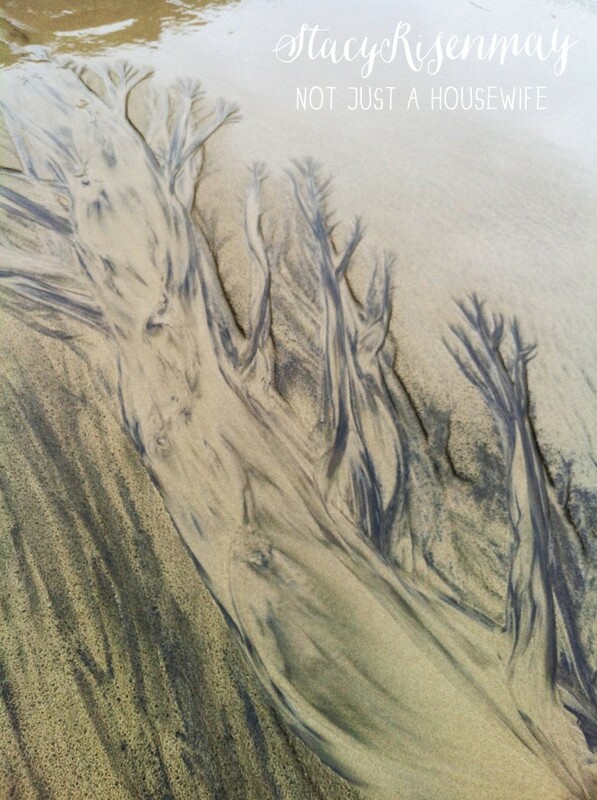 This pattern on the sand that looked like a tree was created because the fresh water from near the road was running down the beach toward the ocean. The darker sand from near the road was also mixing with the beach sand. Because it was foggy, the pictures are not super clear. But the red and white lighthouse was stunning against the greenery! There is a hiking trail called the Hobbit Trail that leads to the lighthouse. I can’t remember why we chose to not do it, but we parked in the parking lot and hiked the shorter trail up to see the lighthouse. There were giant slugs and snails along the way and my bug lovin’ boys were in heaven. I think this is worth the stop. Even if you don’t want to tour the lighthouse itself, there are places to stop along the road to take pictures. We traveled up to Depoe Bay later that day. It is the whale watching center of all of Oregon because some of the gray whales that use to travel up to Alaska after giving birth in South America, decided to just stay in Depoe Bay. This area of shoreline has a big enough food source that they do not need to travel to Alaska to feed. There are about 200 summer resident whales. They begin to arrive in late May. We were able to find a whale within the first 10 minutes which meant we had almost the whole hour to watch him. He was in the surf eating so we could only get about 20 feet from him. Normally they can get the boat closer. But 20 feet was close enough to see details. It was INCREDIBLE! Because he was in shallower water, he didn’t fluke (show his whole tail). They have to be in deep water to do that. But he did poke his head up 3 times! And we saw his body too many times to count. And when he went down on his side to feed, we could see half of his tail which looks like a shark fin. I filmed the whole time and didn’t take pictures so the pic above is a screenshot of one of the times his head poked up. The iphone footage looks like he was farther away that he was. If we ever do this again, I hope to have a better video camera option. For the last couple of days we stayed in Lincoln City. We met up with my husband’s side of the family. His parents are going to be serving a mission for our church and we wanted to make the effort to get all six of his siblings and their families together before they leave. We rented a large beach house together. I don’t have a ton of pictures because at this point I was so exhausted and I just wanted to hang out and chat with everyone. We spent a lot of time in the sand, staying up laughing, and checking out the local sites. 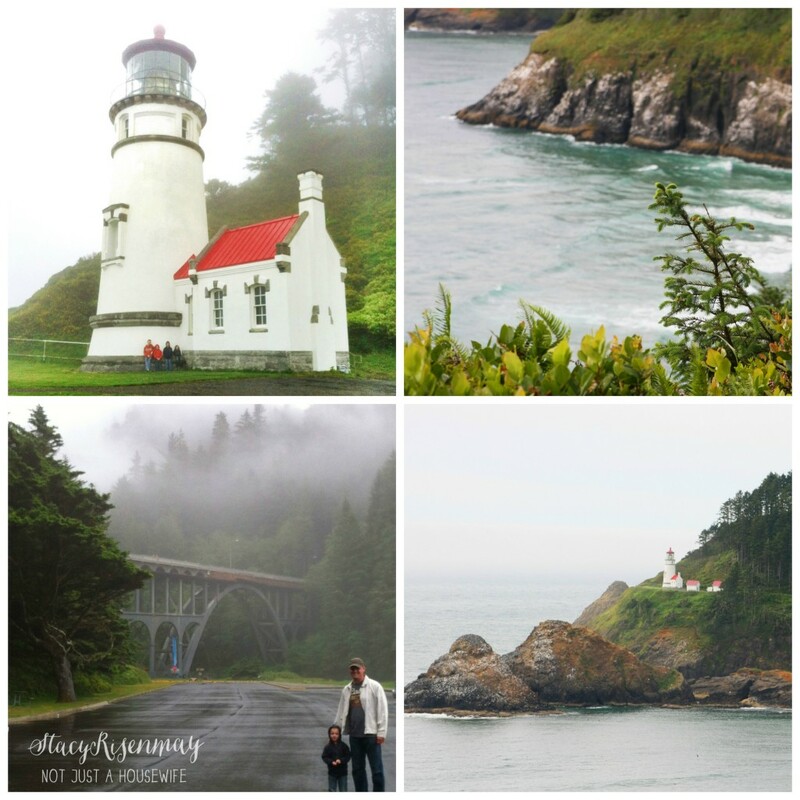 We headed to an airplane museum and the cheese factory in Tillamook. It was so nice to have everyone under one roof! There are some good tidepools at a place called Devil’s Punchbowl. There are a lot of places with the name “devil” in it so make sure it is punchbowl. If you ever have the chance to drive up or down the coast on HWY 101 take it! It was a trip of a lifetime for our family. And I want to move to Oregon now. I used this mile by mile PDF to plan our trip. It was very helpful for the Oregon part of the trip. I had to research California on my own. If you have made this trip, tell me what your favorite things were! 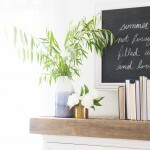 I loved the blog! This has been so helpful. Hubby and I plan to this for our 20th anniversary in 2 years. I will definitely be referring back to the blog for places to go. Thank you! I am planning to do this trip with just my daughter next year, she will be graduating from high school, just as a mother/daughter trip. Thank you for all the tips for a great trip!! Can you tell me where you started and where you ended your trip, how long it took you and the aprox cost please? 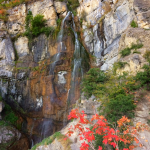 Thanks in advance… LOVE your blog!! We flew into San Francisco and flew home out of Portland. We took 9 full days to travel. We stayed in San Fran for a couple of days before moving on up the coast. We only had to drive 2-3 hours each day. We had 6 different hotels and then a beach house at the end for a couple of nights. Our airfare was cheap because we got a deal on SouthWest for $99. One hotel in San Francisco was $230 and the other was $90. All other hotels were less than $75 a night. The prices may change depending on the time of year. We were there at the off season. We bought a cooler and would buy groceries along the way to help cut down the cost. Breakfast was included in all our hotels/motels. We ate out 3 times at restaurants. 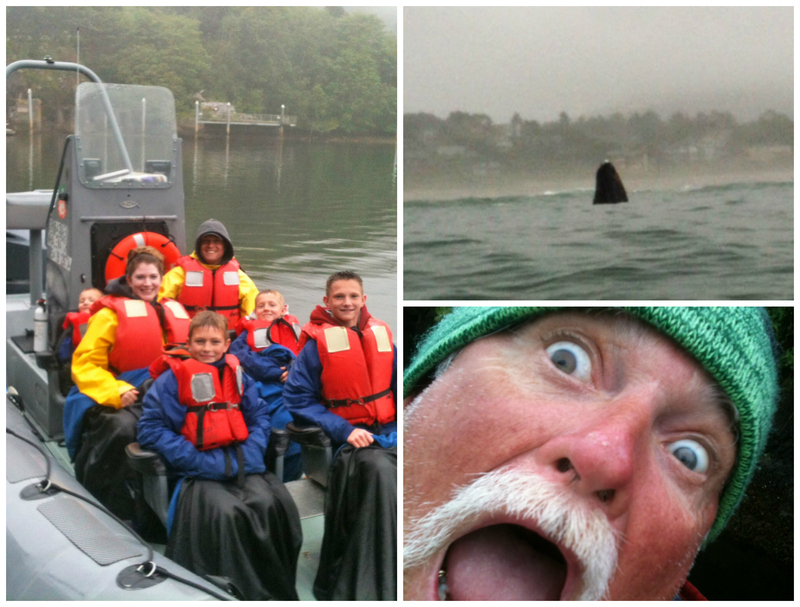 The whale watching was $30 per person and there were six of us. If you and your daughter go, it would be a lot less than our whole crew! Ocean world was around $40 for our whole family. Again, it would be cheaper for you. The drive through tree is $5 per vehicle. And all other places we went were free. We let each kid earn money before the trip so they could have spending money. Each child ended up with $50 to spend on souvenirs. I loved to read about your travels. More so because I am originally from Oregon and yes it is a beautiful state. Not living there since high school makes me appreciate it more and more when we go back. We vacation there every year as I have family there and still find the most amazing scenery and such diversity. 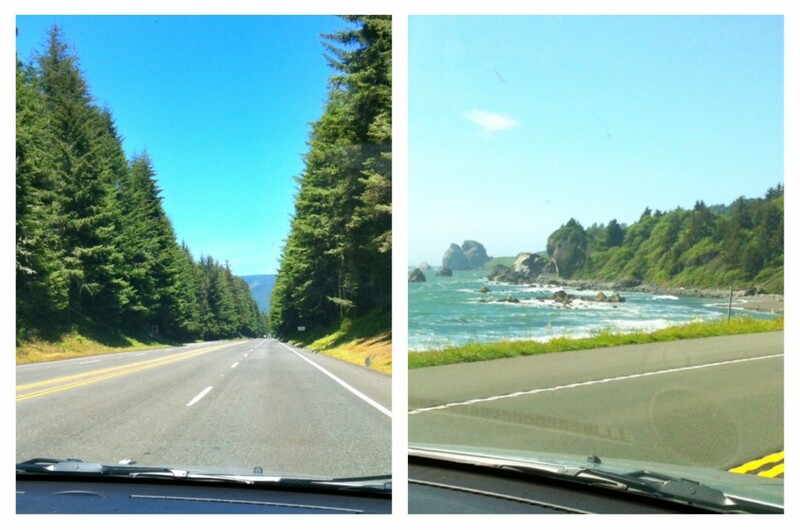 There is of course the gorgeous coastline, the mountains, the high desert of Easter Oregon and everywhere in between. Last year when we went there we did the dune buggies on the dunes and also horseback riding on the beach. We also hiked to see the oldest Douglas fir tree. 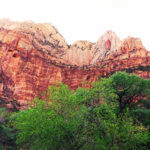 What a beautiful hike and breathtaking scenery. I could go on and on… So happy to hear you enjoyed your vacation!!! Thanks again for sharing!!! This trip looks SO fun! And driving through that tree?! Awesome! I want to do that! Thanks for posting this! 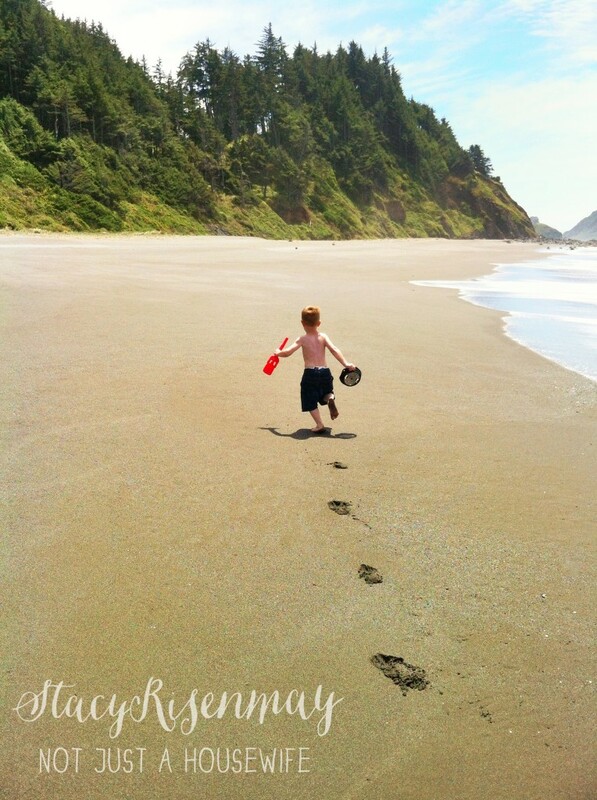 We are going to Lincoln City this weekend!! Do have any more recommendations for that area? We will definitely be going to the places you recommended! What an incredible trip. I hope it is as memorable for your boys as it seems here on your blog. It’s refreshing to read about a trip that isn’t to a park that starts with D. I doubt I’ll ever get to these places, so it was fun to have an armchair vacation. Frankly, I’d happily sit through all 3,000 of your photos. When my son was young, I was shooting 35 mm film, and the costs were so high I had to ration my photos. For me, 300 would have been a huge number for a trip. I still can’t wrap my head around how many photos we take these days. I was with my mother recently looking through a small collection of photos of my grandparents and their friends. Note to self: captions really make a difference. Hope all these photos survive for future generations. My husband and I are long-distance bicyclists, and a few years ago we pedaled from Portland, OR to Newport Beach, CA. We spent a lot of miles on 101, plus we would weave inland and back out to the beach road. 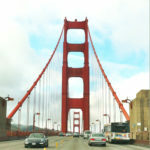 We rode through San Francisco, Napa Valley, L.A., and on. It was one of my favorite rides that we have done, and we’ve ridden all over the world. 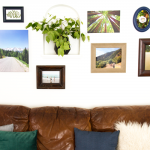 Your photos are great. Will you be at Haven this year? 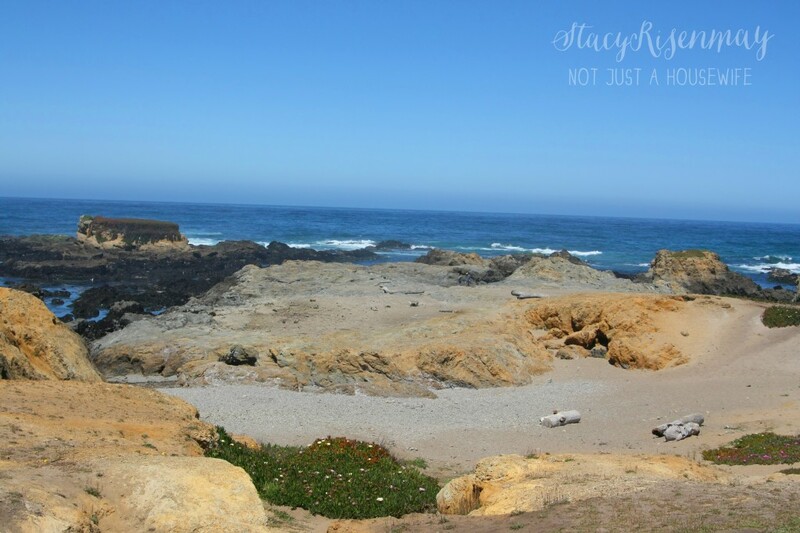 Fort Bragg is a favorite vacation destination for most people in my Sacramento Valley town. My kids love Glass Beach! Such a fun trip! This is totally random, but I found your blog through the Wayfairer blog hop and I think your MIL actually taught me painting classes when I was a kid. Are they from Redmond, WA?